Will New Studies Put the Blame on Riders Involved in Motorcycle Accidents in Miami and Other Communities? According to an article in the Herald Sun, a new study has concluded that in fatal motorcycle crashes the rider is at fault four of out five times. The study claims that more than half of the riders involved in a motorcycle crash had alcohol or drugs in their system at the time of the accident and nine out of ten had traffic violations on their driving record. Statistics have also suggested that in a significant portion of motorcycle accident fatalities, the motorist was driving the motorcycle without a valid license. Does the study suggest that motorcyclists should take the blame for motorcycle and car accidents in Miami and other communities? Some experts and personal injury attorneys in Miami and other communities are concerned about the message in the study and point out that the researchers only looked at motorcyclists involved in crashes over a 12-month period. This means that only a small number of crashes and motorcyclists were considered in the study. In addition, determining fault is often a complex process and in some of the cases examined the fault may have been incorrectly assigned. Personal injury attorneys also note that the research findings could make it harder for motorcyclists who are involved in a traffic collision in Miami or another community, since police and others who have seen the study may automatically assume that the motorcyclists is at fault – even if this is not the case. It is already challenging in some cases for motorists to get fair compensation for head injuries in Miami and other traffic-related injuries, and assuming fault without due investigation can exacerbate the problem. 1) Motorcyclists should always wear a helmet to help prevent head injury in the event of an injury. 2) Motorcyclists need to follow the rules of the road, even though motorcycles allow for greater flexibility of movement than cars. 3) Truck drivers, car drivers, and motorcyclists need to drive sober, awake, and focused. Distracted driving is a leading cause of truck, motorcycle, and car accidents in Miami, as is fatigued driving. Drunk driving accidents in Miami also continue to cost too many lives. 4) Truck drivers and car drivers need to treat motorcycles just like any car on the road, providing riders with plenty of space to maneuver. Motorcycles should have a full lane to travel and you will want to leave a full car length of space in front of you if you are following a motorcycle. Since motorcycles are smaller vehicles, check for them before changing lanes or turning. 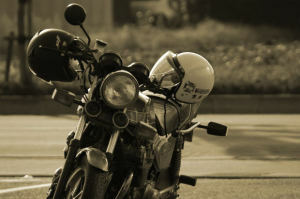 Do Older Motorcyclists Suffer More Serious Injuries in Motorcycle Accidents in Miami Gardens? According to statistics, more Americans over the age of 50 are turning to motorcycles as a fun hobby. According to some sources, the mean age of motorcycle owners increased from 33 to 43 between 1998 and 2003 alone, as more older riders joined the ranks or motorcycle owners. Trade groups estimate that one in four American motorcycle riders are at least 50 years of age. While it’s great news that people over the age of 50 are enjoying better health and pursuing their passions, the fact is that more riders on motorcycles can mean more risk of motorcycle accidents. Since Florida has a large population of seniors, motorcycle accidents in Miami Gardens and other Florida communities involving older riders can be an especial concern. There may be more bad news for older riders involved in traffic accidents in Miami Gardens and other communities: at least one study has concluded that motorcycle passengers who are at least 60 years old were sent to ERs with serious injuries 2.5 times more often when compared with younger motorcyclists. The study found that middle-age and elderly motorcyclists are more likely to suffer internal injuries and head injuries in Miami Gardens and other communities after a motorcycle crash. The researchers concluded that this may be because older adults are more likely to be affected by balance problems, vision issues, lower bone density, and other problems. In older adults, reaction time may be slower and the chest wall may be less elastic, increasing the risk of an accident and serious injuries from the accident. For motorcycle enthusiasts of all ages, the number of fatalities related to motorcycle accidents is increasing – even as car accident fatalities have been decreasing. According the National Highway Traffic Safety Administration (NHTSA), there were 4, 502 motorcycle fatalities in 2010, up from 3, 197 in 2001. In 2010, 82,000 motorcycle riders were injured, compared to 60,000 in 2001. In 2001, riders who were at least 40 years of age or older accounted for 39% of fatalities. In 2010, that number had increased to 56%. According to some experts and medical studies, elderly passengers injured in traffic accidents (including car accidents) in Miami Gardens and other communities may take longer to heal. Bones do not heal as quickly in more advanced age than they do when a patient is younger. Older patients are also more likely to have underlying medical conditions that can affect their recovery. With a motorcycle accident, the results can be even more dire than with a car accident, since the motorcycle offers fewer layers of protection. If you have sustained any serious injury in a traffic accident, it is important to consult with a personal injury attorney in Miami Gardens or your community. If the accident was caused by someone’s negligence or recklessness, you may be able to pursue compensation that can help pay for medical care, property damage, lost income, and other expenses related to the injury. 1) Wear a helmet. A leading cause of fatalities in motorcycle accidents is a Davie head injury, yet many riders choose not to wear helmets. Safety experts believe that helmets can drastically reduce the possibility of serious or fatal injuries in the event of a motorcycle crash, and helmets are affordable. 2) Get additional training. State officials find that inexperienced riders are more likely to get injured or killed, so getting additional training can be one of the best ways to avoid a collision and injury. 3) Be cautious when riding in busy areas and near larger vehicles. A rider on a motorcycle has virtually no chance against a much larger vehicle in a Davie truck accident. While drivers and motorcyclists alike have equal responsibility on the road, the reality is that in many cases drivers and motorists do not spot motorcyclists in time. As a result, motorcyclists need to stay extra alert. 4) Drive when you are in good condition to do so. Davie drunk driving accidents are likely to be devastating when they involve an accident between a motorcycle and a larger vehicle. It is important to stay sober and undistracted when operating a motorcycle – these types of vehicles require the rider’s complete focus. It is important to be well-rested, sober, and alert when riding a motorcycle. 5) Use good communication skills. Making eye contact with drivers and using signaling correctly ensures that motorists can see you and can anticipate your movements. Unfortunately, some drivers do drive distracted, and it is important to maintain communication on the road to alert other drivers of your presence. 6) Keep your motorcycle in good condition. Your motorcycle is more likely to respond correctly and help you prevent an accident if it is in good condition. 7) Protect your eyes. Dust and wind in your eyes can blind you for seconds and can easily lead to a serious accident. Be sure to protect your eye from debris on the road to prevent this type of dangerous distraction. 1) Invest in a good helmet if you are a motorcyclist. Fort Lauderdale head injuries are one of the most common types of injuries caused by motorcycle crashes in the area, and in many cases these injuries can be prevented or can be rendered less severe with the proper use of a helmet. A helmet can save you life, so if you ride a motorcycle invest in the best new helmet you can afford. Make sure that it fits correctly and that you wear it on every ride. If you are in a Fort Lauderdale motorcycle accident and you hit your head, make sure that you replace your helmet. Even if it appears fine, it can be damaged inside and provide less protection in a subsequent Fort Lauderdale car accident. 2) If you drive a car or truck, remember to share the road safely with motorcyclists. Give motorcyclists plenty of room, including their own lane. Never attempt to share the lane with motorcyclists – they have the same rights and privileges as any vehicle on the road. Keep in mind that motorcyclists can maneuver more easily and more quickly than cars or trucks. For this reason, you may wish to give them more room so that you can give them adequate space if they make an unexpected move. 3) Whether you drive a car, truck, or motorcycle, make sure your vehicle is safe and well-maintained. Correctly maintained vehicles with proper lights and mirrors are safer to drive and more likely to respond correctly if you need to avoid an accident. 4) Follow the rules of the road and drive courteously. Speeding, driving under the influence, and refusing to obey traffic signals or signs makes it harder for other drivers to predict your next move and increases your risk of a Fort Lauderdale truck accident or traffic accident. 5) Avoid distracted driving. Since motorcycles are smaller vehicles, they can easily hide in your blind spot. Being distracted in any way means that it easier for these vehicles to approach you without you being aware of it, increasing the risk of a serious accident. Putting mobile devices away before you get in the car and keeping your full focus on the road ensures that you can see all vehicles around you and this reduces your risk of a collision. A study published in the Journal of Forensic Sciences could provide some insight as to why there are so many Miami motorcycle accidents – and why these Miami traffic accidents tend to lead to so many permanent and serious injuries. According to “Death by Motorcycle: Background, Behavioral, and Situational Correlates of Fatal Motorcycles Collisions,” motorcycle are eleven times more likely than passenger cars to be involved in fatal accidents, per mile driven. The study also found that while overall road accident fatalities declined in 46 states and in the District of Columbia between 2007 and 2008, fatalities involving motorcycle crashes actually increased in DC and in 28 other states. According to the study, men were overrepresented in motorcycle accident fatalities, accounting for over 87% of such deaths. In addition, almost 60% of fatalities occurred on the weekend while almost half occurred in the evening or during the nighttime. Whether due to worse conditions or the risk of drunk driving accidents, drivers may wish to be extra cautious during these times to avoid a Miami traffic accident. The study also concluded that almost 60% of motorcycle fatalities occurred on rural streets. In just over half of fatal motorcycle collisions, the accident involved another vehicle. Experts have said it again and again: in a Miami truck accident or car accident involving a motorcycle, the motorcyclist does not have a chance. The difference in size and force alone ensures that the motorcycle bears the brunt of the damage. Since motorcycles are lighter than most other vehicles on the road and since they offer less protection for the rider, motorcyclists need to take extra precautions to protect themselves. 1) Wear a helmet. Florida had a helmet law until 2000, when the legislation was repealed. Since 2000, the number of fatal Florida motorcycle accidents has risen. While it’s not the law, wearing a helmet is the smartest thing you can do when you get on a motorcycle. If you are thrown from your motorcycle in a Miami traffic accident, your chances of survival are very poor. Wearing a helmet, on the other hand, protects your head in a collision and reduces the chances of you becoming a Miami brain injury patient due to head trauma after an accident. 2) Be wary in high traffic areas. These can be especially dangerous for motorcyclists, since impatient drivers may not notice your motorcycle. If you are stuck in traffic, make sure you have plenty of room and ensure that drivers around you can see you. 3) If you are in a motorcycle accident, be sure to consult with a qualified Miami personal injury attorney. There is in some cases a bias against motorcyclists in an accident and in some cases motorcyclists are blamed for an accident even if another driver was at fault. Contacting a qualified attorney shortly after your accident ensures that your attorney can gather the facts about the true cause of your accident. Although motorcycles and passenger vehicles share Florida’s roads, drivers and riders are not subject to the same laws and insurance coverage. In fact, Florida motorcycle accident victims face unique challenges after their accidents, which is one reason why it is important to work with a Florida personal injury attorney after this type of accident. One challenge for motorcycle accident victims is that injuries can be far more severe from a motorcycle accident than from a Florida car accident. Car accident victims are protected by seat belts, windshields, and by the structure of their vehicle. Riders do not have any such protection and are often thrown from their motorcycle in an accident. Accident survivors may face permanent injuries or injuries that require long-term care and recovery. As well, Florida does not currently have motorcycle laws for riders. When riders are in an accident and are not wearing a helmet, the risk of serious brain injury and fatalities is much higher. For this reason, it is important to always wear a helmet when getting on a motorcycle, even if the law does not require it. Motorcycle accident victims face other challenges as well. Many insurance companies have very low offers for motorcycle accident victims, even though such victims are in fact more likely than car accident victims to have long-term and expensive medical costs. Many accident survivors find that they need to work with an experienced Florida motorcycle accident attorney to recover a fair settlement that covers medical expenses, lost wages, and other damages caused by the accident. Florida laws do protect motorcycle accident victims. If you have been in a Florida traffic accident while riding your motorcycle, you can seek compensation for any damages caused by the recklessness or negligence of any liable parties. Victims can seek compensation for medical costs, lost wages, suffering, loss of quality of life, and property damage caused by the accident. The laws surrounding motorcycle accidents are more important than ever before. Thanks to the lower costs of motorcycles and the good mileage these vehicles offer, many Florida residents are turning to motorcycles as an alternative form of transportation for financial reasons. It is important for these new riders to be aware of their rights in an accident. If you have been in a Florida traffic accident on a motorcycle, contact a qualified Florida attorney soon after your accident to be apprised of your rights and legal choices. A good attorney can negotiate on your behalf with insurance providers, can investigate your accident, can represent you if you decide to seek legal redress, and can ensure that you make an informed decision in your case.